If a year is evenly divisible by 400, then it's always going to be a leap year. Otherwise, if a year is evenly divisible by 100 (but not 400) then it's not a leap year. If it's not evenly divisible by 400 or 100, but is divisible by 4, then is it a leap year. If it's not evenly divisible by 4, then it's never going to be a leap year. Every leap year has an extra day in February: the 29th. This system is accurate to about 8,000 years. In 8,000 years, the calendar will be about a day behind. However, the rotation and orbit of Earth are not constants, they are changing very slowly. The orbit is slowing down, so probably in that 8,000 years, it will have also slowed down by the same amount the calendar has. Thus, it won't really be a day behind. I've always thought February 29th would be a great day to have as your birthday. Although you'd obviously age at the same rate as everyone else, and probably celebrate your birthday on the 28th, it'd still be a rather unique birthday. If that's all too boring for you and you don't really care... Just look at the silly little picture of the Genuine Penguin. 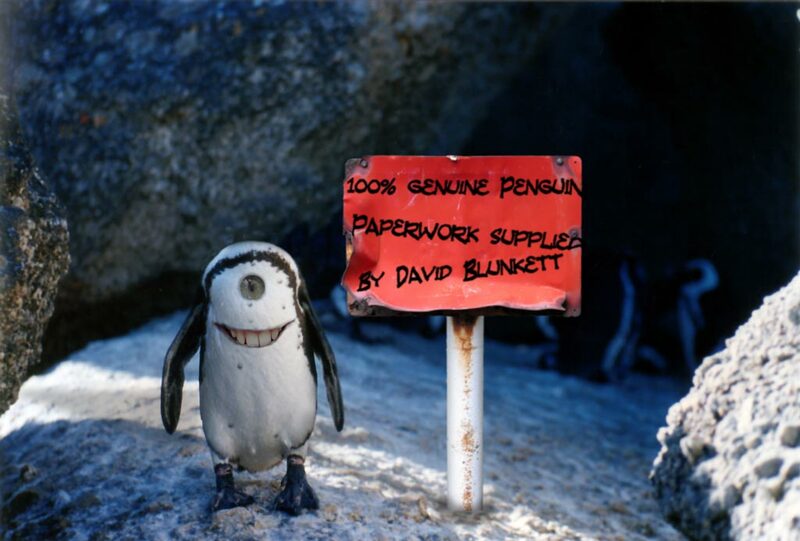 I had used this penguin for a picture of an alien I once had on the Alien Adoption Agency. I named him Bobstopheles. A spork was used in an attempted armed robbery in Anchorage, Alaska. When I think of a spork, "weapon" is not the first thing to come to mind. 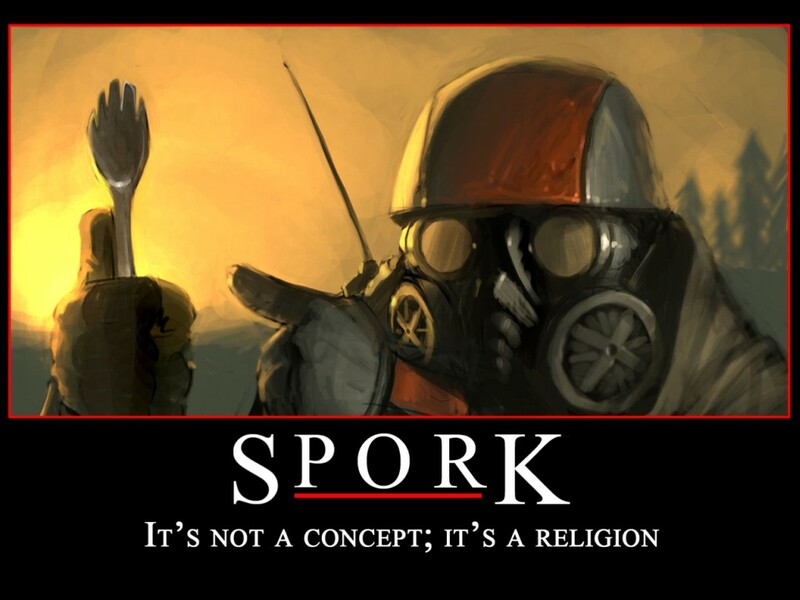 A spork is more of an unusual utensil with a sort-of cult following. It's a hybrid between a spoon and a fork. What's even more funny, it was only a plastic spork. Maybe I could understand if it was a titanium spork, like the one I have (cult following, remember?). My dad gave it to me as a gift. I mean, come on... What's more cool (or at least odd) than a titanium spork? The image to the right is a picture I took of my spork. I've spend the last day and a half creating this new template. 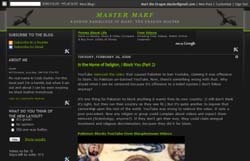 The old template was Blogger's Minima Lefty stretch with a modified color theme. This new one is one I built. I used Blogger's TicTac template as a base, but I've totally re-made it. It's more-or-less a combination of TicTac, Minima Lefty, and Minyx. The Minyx template can be found and downloaded at various websites. I like the color theme I had before, so I did a little photoshop work to get things to look the way I wanted. It's best if viewed at 1024x768 resolution or higher. I hope it doesn't break horribly in different browsers. I use Firefox 2.0, and I've tested it with IE 7 (both 32-bit and 64-bit versions). Seems to look the same. Leave a comment if it's screwed up for you. Or better yet, email me a screenshot if it's screwed up. YouTube removed the video that caused Pakistan to ban Youtube, claiming it was offensive to Islam. 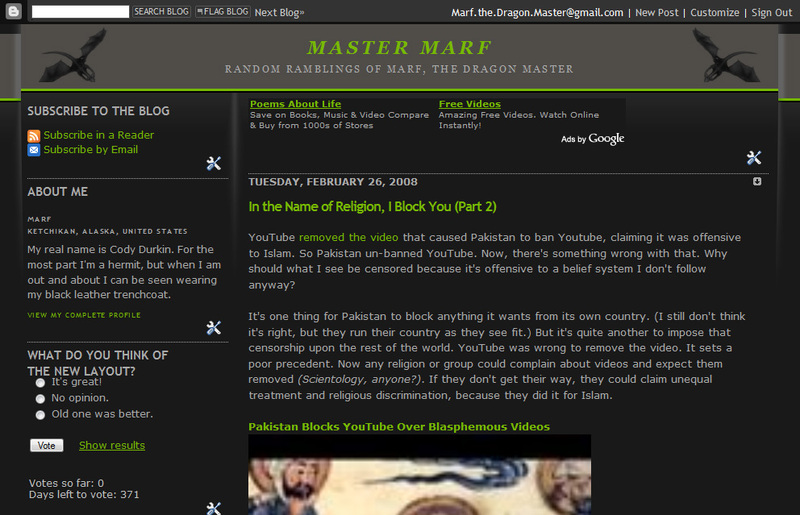 So Pakistan un-banned YouTube. Now, there's something wrong with that. Why should what I see be censored because it's offensive to a belief system I don't follow anyway? It's one thing for Pakistan to block anything it wants from its own country. (I still don't think it's right, but they run their country as they see fit.) But it's quite another to impose that censorship upon the rest of the world. YouTube was wrong to remove the video. It sets a poor precedent. Now any religion or group could complain about videos and expect them removed (Scientology, anyone?). If they don't get their way, they could claim unequal treatment and religious discrimination, because they did it for Islam. It's tough to "delete" something that's been on the internet. Videos have a tendency to be re-posted. I'm not sure if this video is really the one that caused all the fuss, but it seems to be a re-post of it. Even from time index 1:48 and after, it isn't that bad. It's one man expressing his opinion. Pakistan has blocked YouTube. It might be offensive to Islam. Read: it might be destructive to our brainwashing techniques. The article states that if this keeps happening to websites, the people will stop using the Internet. I'd imagine that's what the Pakistan government would want, they would gain more control over what information their people are exposed to. Although this won't happen because people will discover the usefulness of proxies in bypassing bans such as this. Counties such as China, Pakistan, Turkey, and Thailand are trying to hold on to the past. We're in the information age now, it's getting tougher and tougher for governments to restrict information. The Internet has changed us. It has changed the way we do things, how we live our lives and what we believe. And it will continue to do so. Those who don't embrace the change will be left behind, technologically as well as socially. I was flying a helicopter in Grand Theft Auto: San Andreas and it reminded me of an old game that I always loved to play; Sim Copter. I really wish they'd make a sequel; Sim Copter 2. I stopped playing Sim Copter because the graphics rapidly became outdated and it was unstable in newer versions of Windows. What I liked most about it was that I could build a city in Sim City 2000 and then fly in it and do missions in Sim Copter. A sequel could use cities from Sim City 4 or Sim City Societies. I remember a specific city I had made just for Sim Copter. It was a city built inside a large impact crater. The airport itself, along with a military base were outside the crater. I had quite a bit of fun with that city. 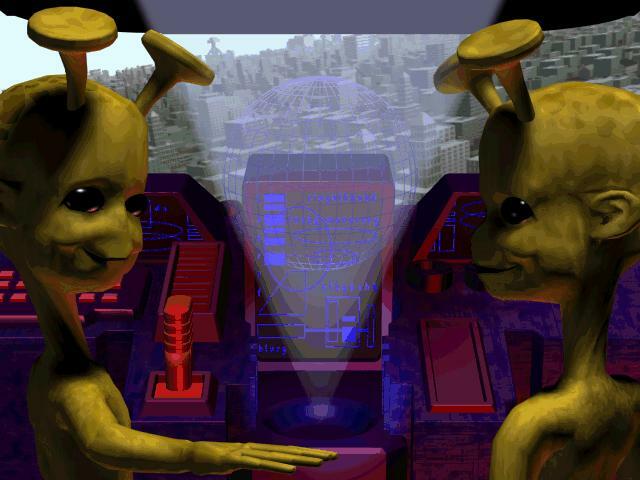 There was also some funny dialogue between the aliens that broke the fourth wall if you waited long enough. I can't seem to find the exact text anywhere though. I tell you... It's a sign of the times when even a children's show like the Muppets needs to be censored. As of today, my blog is one month old. I haven't missed a day yet. Through a Google search that brought up an email address, I've recently managed to make contact with an old friend that moved away years ago. That's been the highlight of my week (or month, whatever). Been sending emails back and forth, updating each other on our current status in life. Kinda makes me realize how little I've accomplished compared to what I should have by now, but whatever... I'm not going to go into that now. Thanks to the Escape Hatch blog, I'm now hooked on the Cyanide & Happiness comics. Just another random web comic that I've subscribed to in Google Reader. I'm getting quite a collection of random comics, websites, and blogs. I usually don't like poems. I hate to write them, and most of them are a pain to read as well. This poem is one exception. I connected with it somehow... I had stumbled upon it years ago on a forum, I believe. I was doing a Google search for something totally different, looking at various search results. I wasn't a member of the forum, or even had heard of it before. Then it disappeared off the internet for the longest time. I thought it was one of those lost treasures, and I was one of the few that saved it. But now I see it's back on the internet, and can be found at Poems by Matthius. Now that I know there's a place to find more poems by this author, I'll have to go look. Turning black as the emotions froze. sad thoughts of pain and suffering. these words are what is real. 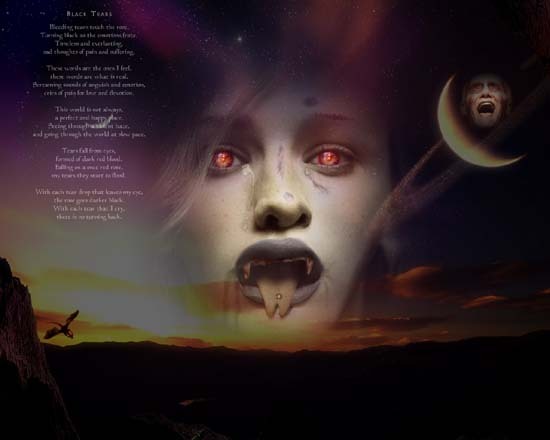 cries of pain for love and devotion. a perfect and happy place. and going through the world at slow pace. formed of dark red blood. my tears they start to flood. the rose goes darker black. TC left a comment in a previous article asking for an explanation of what exactly a web feed and Google Reader are. So I imagine there's other out there with the same question. A web feed is a way to get updates from a site without actually having to visit the site. A web feed can be identified as RSS, Atom, or XML. There's also a universally accepted orange logo, as seen in this article. You have a program, called an aggregator (or feed reader), that is either on your computer or they can be web based. This aggregator collects a specialized XML file from each site you're subscribed to. It then checks the file for anything new. If there is something new it will alert you. Lets say you have 100 sites you'd like to keep track of every day. It's a pain to visit each one and only find 10 of them have been updated on any given day. Now let's say each of those sites has a web feed. You can subscribe to their web feeds with an aggregator. Now you can just open your aggregator and it will tell you what sites have been updated since the last time you checked. Some sites even include the entire article in the web feed, allowing you to read the entire new article within the aggregator. Suddenly, keeping track of 100 (or more) sites isn't all that bad. I use Google Reader, although there are tons of different aggregators out there. 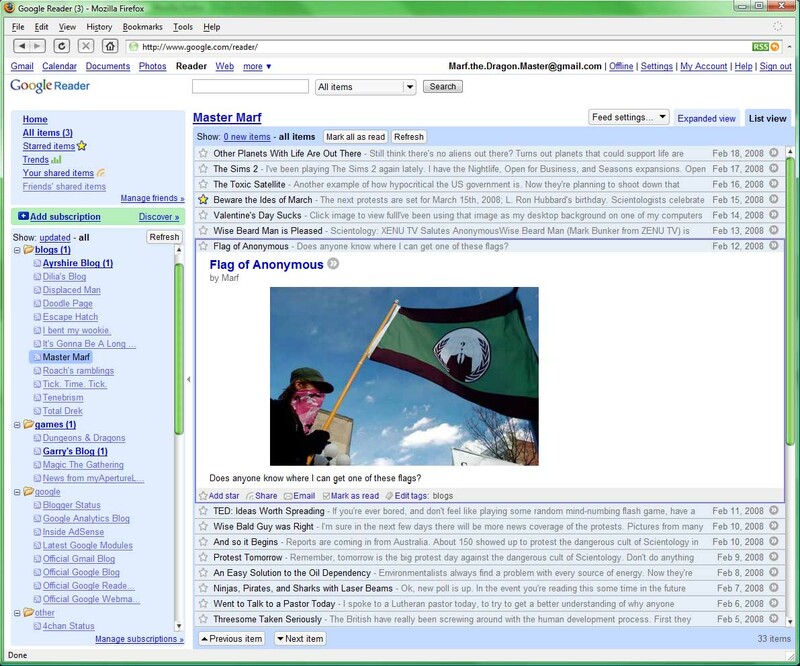 Google Reader is web based, although it has an option to view feeds offline. I've included a screenshot of my Google Reader, with the personal information removed from the address bar. You'll have to click the image to see the full size. As you can see, I have my own feed selected. There is also 1 article I haven't read yet from Ayrshire Blog and Garry's Blog, as well as one further down the list. EDIT: Look in my sidebar (directly under the search bar) to find the link to subscribe to my web feed. You figure, there's trillions of stars out there, probably billions with planets; there's going to be other places life developed. Unless you're one of those that believes we're God's special planet, and everything was created for our benefit; that we were created in His image. Then you have the nerve to call pride a deadly sin... The most serious one at that. I've been playing The Sims 2 again lately. I have the Nightlife, Open for Business, and Seasons expansions. Open for Business is my favorite expansion. Sometimes my favorite thing to do in the game is to build houses rather than control the lives of sims. 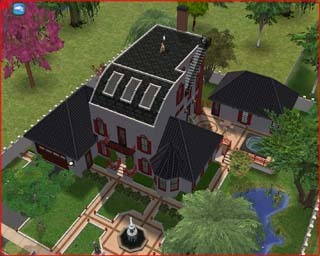 The picture is a house I've built (the picture's a little old, there have been minor changes since this). If you play the game, you'll know it takes a few tricks to get a curved roof or a garage connected to a house with a foundation. The most successful business I have in The Sims 2 depends on how you classify successful. The most money made per day goes to Zenge Electronics, owned by Angeline Zenge. It makes about 20,000 - 30,000 net profit per day, over 125,000 in raw income per day, but much of is spent restocking. The robots do much of the work, so there's not much need for employees. It has about 500 or so customer loyalty stars. Only takes 125 for a top-level business. If you consider the most loyalty stars to be the most successful, then it would be Underwater Adventures. Owned by Yatashi McMan, a plant sim. It has about 650 loyalty stars, and is still gaining. Essentially it's a water park with a pool, slide, and a couple of hot tubs. This place takes nearly no maintenance. Just turn the open/closed sign, maybe replace the food on the buffet table, and sit in the hot tub. The ticket counter does the rest. I don't even need to clean the toilets or plates; the crazy robot customers do it for me. EDIT: Wow, was I ever wrong about Zenge Electronics. I hadn't actually played the business for a while, so I was going by memory. In one day I managed to net 82,276! With a raw income of 296,505. Another example of how hypocritical the US government is. Now they're planning to shoot down that satellite. Just last year they shunned China for doing the same thing to a Chinese satellite... Just another example of "we have WMDs, but no-one else can." I think the Russians are correct. The US is testing an anti-satellite weapon, just like China did. Only instead of just fessing up to it, they use the dangerous fuel as an excuse. It very well may be a valid excuse. That doesn't change the fact that they have special missiles designed for this purpose, and this is a way to test them. The next protests are set for March 15th, 2008; L. Ron Hubbard's birthday. Scientologists celebrate this day, and the protests shall crash their parties. Yes, Saint Patrick's Day happens to fall on the 15th this year. But that means there will be a lot of people out and about, more will see the protests, more will ask questions and find out the truth about this cult. The second part is better, especially the end. 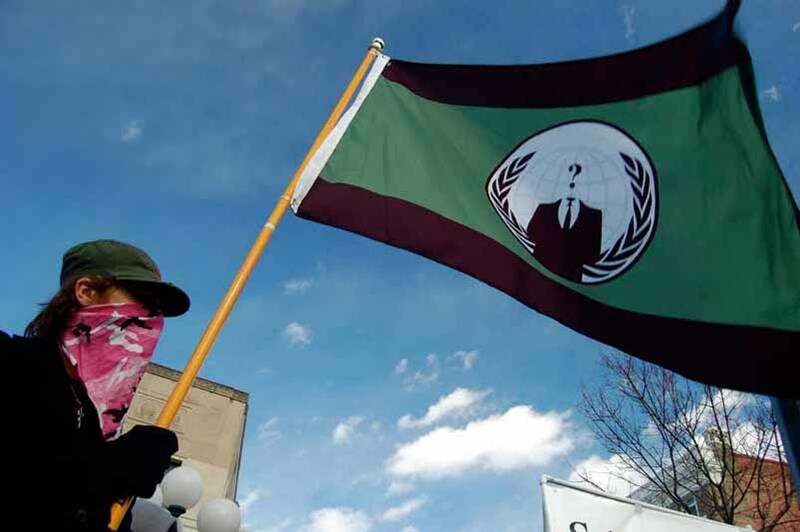 Remember, the protests are not just for Anonymous. Any who oppose the church should join them. No longer shall you have to hide in fear of the church. Now is the time to make your stand; you are no longer alone. I've been using that image as my desktop background on one of my computers since before last Valentine's day. 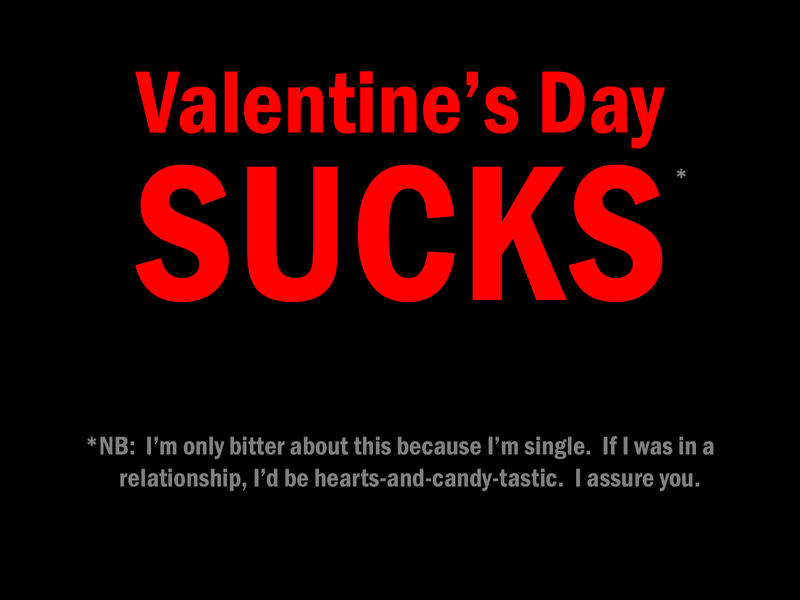 See, I don't just hate Valentine's day one day of the year, I hate it on all 365 (or 366) days of the year. Just every aspect of it is sickening. They don't even try to mask the commercialism; rather they try to break up the relationships for those who don't spend money on it. 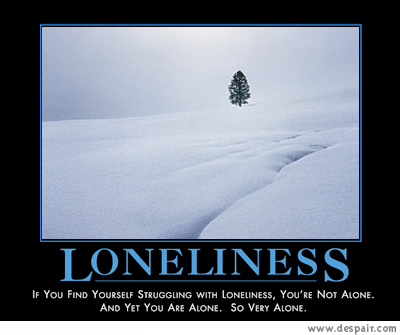 It's a horrible reminder of loneliness for those who are single. And, pink isn't really my color. Last year I even went through extreme measures to try to skip the day. I had stayed up for 3 days, then went to bed midnight before Valentine's Day. My plan was to sleep through most of the day, thus "skipping" it. Didn't work... I woke up at my normal time, like I hadn't stayed up for 3 days beforehand. I never have liked the day, even back in elementary school. We'd make little construction paper mailboxes, and get little Valentine's day cards from other classmates. I always had the fewest; only cards from those who got them for the entire class. Even then I was sometimes forgotten. One year I got a rock. The picture says, "NB: I'm only bitter about this because I'm single. If I was in a relationship, I'd be hearts-and-candy-tastic. I assure you." When I first saw that I wondered what NB meant, as you'd expect a PS. After I looked it up, I found it to mean Nota bene, turns out it was more fitting than PS. A PS is more of an after-thought, whereas NB calls to attention the context in which it was said. You see, I learned something. Who said nothing good ever comes from hate? 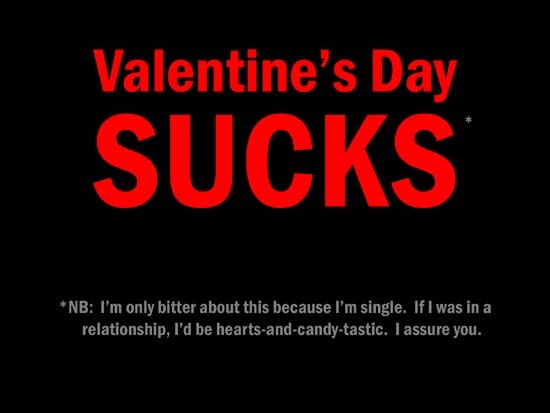 So, if I were not single, would I really be "hearts-and-candy-tastic"? Probably not. I'm the type that would make a distinct understanding that both of us are to ignore Valentine's day all together; treat it as any other day. Of course, she'd probably think it's just some cover for a surprise, and be disappointed when I really don't do anything. So the day would still screw me over. Anyway, I found this video clip that shows the protests made major news on many different news stations. Does anyone know where I can get one of these flags? EDIT: I have bought a flag since making this post. I talked about it in this newer post. If you're ever bored, and don't feel like playing some random mind-numbing flash game, have a look at TED. TED stands for Technology, Entertainment, Design. There's quite a few video lectures about a wide range of subjects. Many of the world's best minds come together to share ideas at TED conferences. Most of the videos discuss ideas for future technologies. Just the other day I watched a video where they made robotic feet, combining many different foot designs from nature. The robot can walk up nearly any surface. The videos give you something to think about. I'm sure in the next few days there will be more news coverage of the protests. Pictures from many different protest locations are available at Wikinews. I suggest you take a look. Overall, I'd say it went pretty well. No reports of violence, and a fair turnout world wide. I think in time the turnout of future protests will be larger, as the general public is made aware of how dangerous and manipulative of a cult Scientology is. As the Wise Bald Guy says, you can tell a lot about an organization from how they respond to a protest against them. This is how Scientology responded. I suppose you can say they, too, had a "welcoming committee." Reports are coming in from Australia. About 150 showed up to protest the dangerous cult of Scientology in Sydney. Many wearing masks so they can't be identified by the church. London, England has drawn a protest of about 500 - 1,000 people. Now there's no way I can post every video of a protest, but I might put more on later. Remember, tomorrow is the big protest day against the dangerous cult of Scientology. Don't do anything stupid! Oh, I just checked, it looks like Google "fixed" the search results... No doubt due to a threat by the church of Scientology. They no longer are at the top of the search results for "Dangerous Cult". Eh, I hate snow. And we're getting a lot of it. Environmentalists always find a problem with every source of energy. Now they're complaining about biofules. I never did think biofules were all that good. It's not the most efficient process of extracting it and I feel it's the wrong direction for our fuel. It's still a pollution causing form of energy and it is driving up the cost of corn. There's all sorts of foods that have corn products in them, and we don't need our food to cost more. 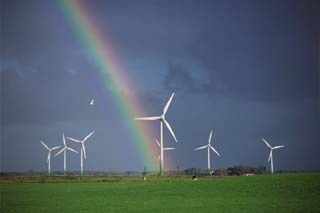 I favor types of natural, renewable energy. Take hydroelectric for example. That's a wonderful source of energy. 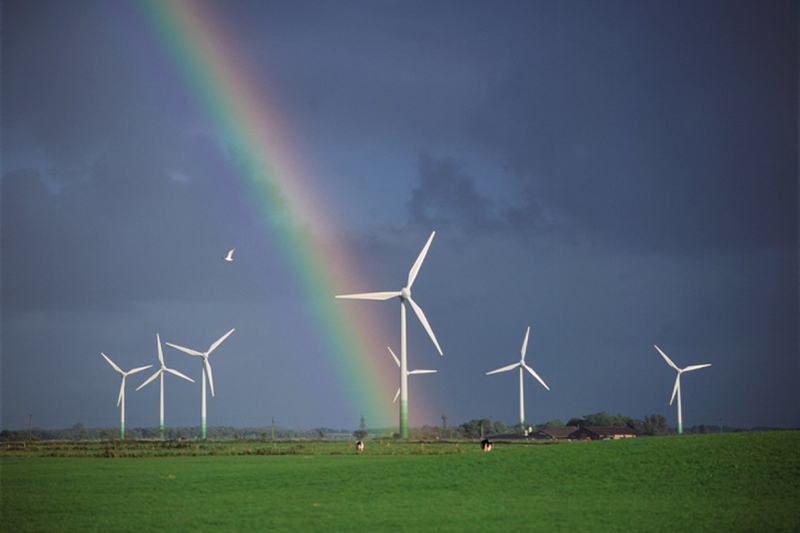 Or wind turbines, that's another great one. Solar panels should be on the roof of every house in sunny areas such as California, Nevada, and Arizona. Geothermal is a good source of energy. Even tidal and wave action can be harnessed. The technology is all there to have all the electricity we need, and then some, without burning oil. Once you have a surplus of electricity, it's no big deal to use some of that to get hydrogen from methane gas or even water. Then we can use hydrogen in our cars, trucks, and even trains. Suddenly, our dependence on oil is gone. It would also help the economy. Not only would it stop US dollars from going overseas for oil, but it would create a ton of jobs in the US to build and maintain the various power plants. It would dramatically lower the cost of electricity, reducing the cost of manufacturing (not the mention the common household's power bill). Producing hydrogen with the excess electricity would reduce shipping and transportation costs. All of this would cause a surge in the economy. The cost of building and maintaining would quickly be paid for by what would otherwise be spent on oil. 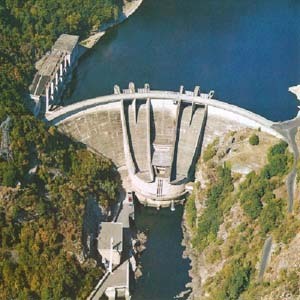 Measures can be taken to make sure the fish can get around the hydroelectric dams. That's one of the things environmentalists complain about. Some of their other complaints get kinda stupid, like the wind turbines injuring birds. The large wind turbines don't move that fast anyway. Trains should be used everywhere. They are far better and more fuel efficient for long distance freight than individual trucks. The trucks can haul the few miles from the train station to individual factories and stores. That would also keep a good deal of the trucks off the highways and ease traffic. Not to mention prevent the ruts they cause in the pavement. Oh, speaking of environmentalists, you know those nature documentaries they have on TV? They always seem to show a nuclear power plant when they're talking about pollution. 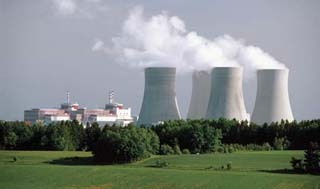 Nuclear power plants are absolutely clean. That's only steam coming from the cooling towers, not smoke! Ok, new poll is up. In the event you're reading this some time in the future when there's a different poll, this one's about a fight between a ninja, pirate, and a shark with a laser beam attached to its head. The last one expired before I wanted it to. I forgot to set the expiration date, and I think it defaults to a week. This one I just gave about a year, I'll remove it myself when I want a different poll. The results of the last poll, "Do you support Anonymous's war on Scientology?" was an overwhelming 10 "Yes" out of 10 total votes. I suppose that says more about the audience I've targeted more than an accurate polling of the general public. I think the general public wants to see a mutual annihilation of both sides. But they don't quite understand what Anonymous is. They are not hackers on steroids like the media says. The media only says that because it sounds more exciting. And I'm not saying much about Super Tuesday because I'm sure it's being blogged to death by enough people. I'll just say that my local state of Alaska voted for Obama on the democratic side, and I think we as Alaskans made the correct choice. I spoke to a Lutheran pastor today, to try to get a better understanding of why anyone believes in a religion. 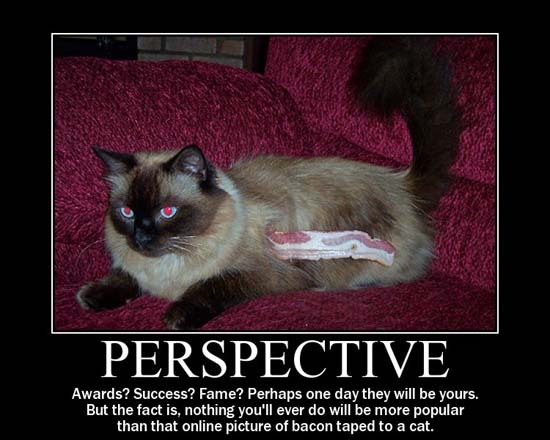 I feel I can understand someone's viewpoint, without agreeing with it myself. Warning: atheist ranting starts beyond this point. Right from the beginning, I could tell she wasn't looking forward to seeing me. When I asked to see her I could overhear "That young man I told you about is here..." followed by an unhappy sigh from the pastor. She was nice enough, but strongly believes I was raised wrong. And when I told her I was an atheist her tone of voice changed momentarily. I could tell she didn't really like me. I was polite, I kept in mind that I came to her. 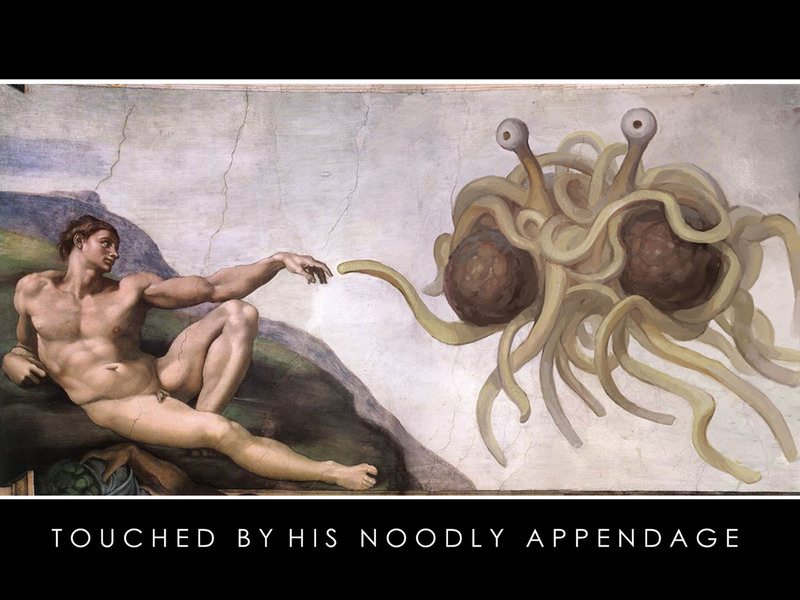 I wasn't there for a religious debate, and didn't start one. I was only there for her side and her views, and didn't say much regardless of how much I disagreed. I asked about a few passages in the Bible, most of them were in the Old Testament. Essentially she told me that Jesus reformed the Old Testament, so none of it really applies. However, she didn't want to outright say it was obsolete or didn't apply. When I struck a few in the new testament, she couldn't say it was wrong. Instead she did some double-talk and skirted around the question rather than a straight answer. Especially when I outright asked her about atheists. Did she ever approach that indirectly... She started to talk about the 3 kings, and went off on another topic. Most of her excuses (and I do mean excuses), were about society at the time it was written. I'm sitting there thinking, "Since when is the perfect word of God subject to human society?" Isn't the Bible suppose to be what directs society, not the other way around? When I brought up a passage that specifically says women are not to speak in a church [1 Corinthians 14:34-35], and it was from the new testament, she told me that's not what it means. How else can that be interpreted? Well, she seemed to think it was because women had a tendency to chit-chat in church and be disruptive. So a law was made that they were to keep to church-related speaking, scripture reading, and singing. How do you go from "The women are to keep silent in the churches; for they are not permitted to speak" to "They're permitted to speak, but keep to church-related discussion"? I suggested to her that maybe there needs to be a New-New Testament. Because even the New Testament seems to be obsolete. She just laughed and didn't really agree or disagree. I also said that Jesus should have been immortal, so he could keep humans on the path God intended. She agreed with this one, and said she'd ask God why he didn't. 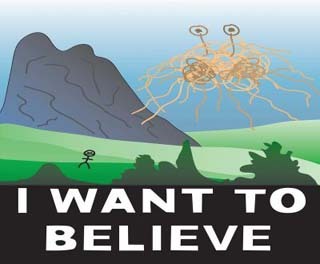 I still give any major religion just as much faith and probability of being true as I give Pastafarianism. Remember boys and girls, adults with imaginary friends that speak back to them are delusional. Oh, and this time religious debates/responses are OK in the comments. I think it's a great thing what they're doing. Something needs to keep genetic diseases out of the human gene pool. With medical advances we've nearly brought natural selection to a halt. And with all the people in the US that think research on human embryos is somehow immoral, there's not going to be any great discoveries in the US. I have always fully supported fields of research such as stem cell research and mapping human DNA. Humans are starting to reach the point that they can take their destiny onto their own hands, able to improve upon themselves. If the random process of evolution has managed to create something as wondrous as the human race, just imagine what's possible if there's some intelligence behind it.1 Maybe they'll figure out how to unlock some of the brain we don't even use. Or improve the immune system so we never get sick or have cancer. Or improve the efficiency of our many internal systems. The possibilities are endless. Oh, and thanks to my APC 1500VA backup system, I'm writing this article during a power outage. 1: I'm obviously an atheist. Humans are not perfect, and are not a creation of a perfect God. Rather, God is a creation of humans. Visit God is Imaginary if you still have doubts. And no, I don't want to start a big religious debate in the comments. I've added the option to subscribe to my blog via email. If you subscribe, you'll receive an email no more than once a day containing any new posts I've made. I haven't tested it, so I'm not sure exactly what the email will look like. In my opinion, the "Subscribe in a Reader" option is the best way to subscribe. 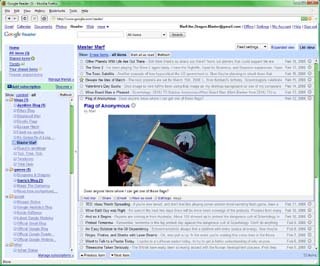 I think Yahoo has an on-line web feed reader, Google has Google Reader, there are many others online. There are also programs you can install on your computer. I use Google Reader. I'm subscribed to 41 different websites, and all I have to do is check my reader to see if any of those sites have been updated. There's no way I would check most of those sites without a web feed. About every blog has a feed built in, and many regular websites do as well. Just look for a link that says something like Subscribe, RSS, or XML. Or the universal symbol for a web feed, the image included in this post. Of course, they will be much smaller than the one in this post. In most browsers, if a page has a web feed, you'll see either the orange symbol or "RSS" near the address bar. EDIT: Look in my sidebar (directly under the search bar) to find the link to subscribe to my blog via email. So it looks like the British have finally made men obsolete. Using women's bone marrow, they figured out how to create sperm. They're also working on creating eggs from a guy, but that process would still require a surrogate mother. I have no problem with this sort of research. 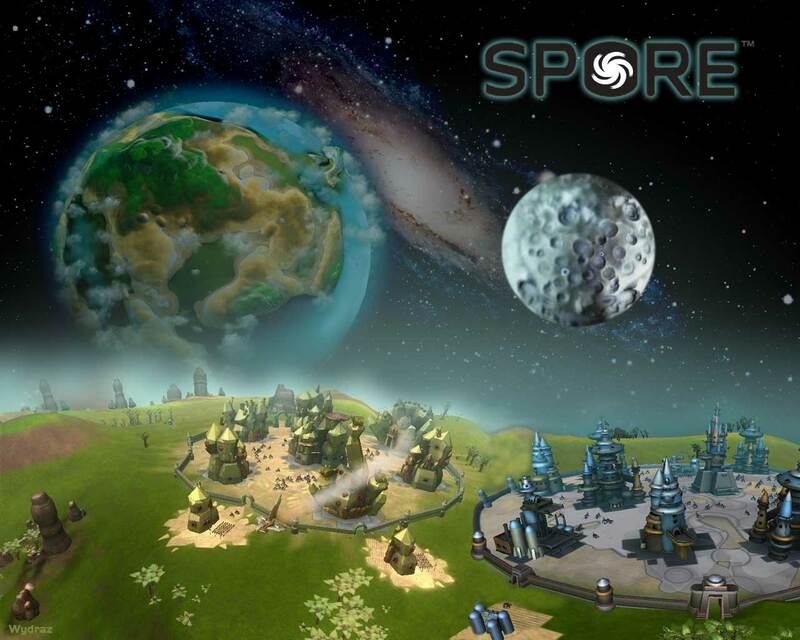 One thing I do have a problem with is the game Spore was delayed, again. Am I ever going to be able to play this game? I didn't even hear about it when it was first announced, but I think it's been well over a year since I've I first heard about it. It was due to come out Spring of 2008, but now they've pushed it back to the holidays. A lot of the news reports will say the first quarter of the "2009 fiscal year". This confuses some people, thinking that means Spring of 2009. But a fiscal year actually starts October 1st of the previous year. So the 2009 fiscal year starts October 1st, 2008. Don't be surprised if your local radio station plays the Beatles song "Across the Universe" on February 4th, 7PM EST. A lot of them are opting to synchronize with NASA. NASA is going to beam the song out towards the North star at that time, and it will take 431 years to reach the star. It's for the 50th anniversary of NASA, 50th anniversary of the first US satellite, 45th birthday of the Deep Space Network, and the 40th anniversary of the song. There has been quite a few planets discovered in that direction. The hope is that there's intelligent life on one of them advanced enough to hear the song. Ok, so it was the top of the featured videos list, not exactly a "random" video. It's still a cool idea someone came up with. This next one is one I came across randomly. Remember, if you're having computer problems, don't let it come to this. Although I have a feeling it was staged. Haven't been doing too much lately. I played Stick RPG Complete for a while. It's a simple little flash game, but due to some of the themes, it may not be appropriate for young children. Things like bar fights, buying and selling drugs, and drinking alcohol. You're thrown into a 2D world and you go to work to make money, buy a better house, and win bar fights. It gets a little repetitive, but most RPGs do.